A previously secret memo on CIA involvement in drone killings is casting new doubt on whether the American government had any legal basis to prosecute Canada's Omar Khadr for war crimes. A previously secret Justice Department memo on CIA involvement in drone killings is casting new doubt on whether the American government had any legal basis to prosecute Canada's Omar Khadr for war crimes. In fact,the document emphatically rejects any such legal foundation, Khadr's lawyers argue in new filings to the U.S. Court of Military Commission Review, which also suggest his convictions at Guantanamo Bay should be set aside immediately. The Department of Justice memo — produced in July 2010 in relation to the drone targeting of U.S. citizen Anwar Al-Awlaki — only came to light last month after a court ordered it disclosed in a hard-fought freedom of information case by the New York Times and the American Civil Liberties Union. The memo was a response to query from the U.S. Department of Defence, which wanted to know whether CIA agents who operated drones — but who are not part of the military and do not wear uniforms — could be considered "unprivileged belligerents" and therefore be potentially guilty of war crimes. In the detailed opinion issued several months before Khadr pleaded guilty before a widely maligned military commission, the office of legal counsel in the Justice Department concluded war criminality turns on a person's actions, not on factors such as whether the person is officially part of an army or wears a uniform. 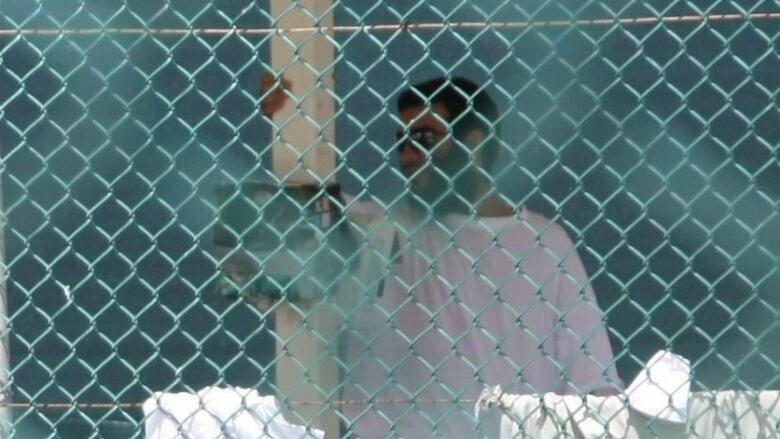 "That completely blows away one of the major prongs of the government's theory in all these Guantanamo cases," Sam Morison, Khadr's Pentagon-based lawyer, said in an interview Wednesday. In Khadr's case, the Pentagon maintained that as an unprivileged belligerent, Khadr had violated the "U.S. common law of war" dating back to the Civil War in taking up hostilities against American forces. However, the comprehensive legal analysis in the CIA case makes no mention of any such body of law. "The whole purpose...was to evaluate whether the CIA agents were violating the law," Morison said. "The only reasonable interpretation of that analysis is that there is no such thing (as the common law of war)." The memo also raises questions as to whether the Canadian government knew Khadr's conviction had no merit when it agreed to take him back in September 2012, the motion states. "If not, then the United States appears to have misled one of its closest allies to wrongfully incarcerate one of its own citizens." American forces captured a badly wounded Khadr, then 15, following a four-hour firefight in Afghanistan in July 2002. In October 2010, the Toronto-born Khadr pleaded guilty to five war crimes — including murder in violation of the law of war in the death of an American special forces soldier — and was handed a further eight-year sentence. It is unclear whether Khadr's prosecutors knew about the CIA drone memo, which was not disclosed to his lawyers or the military commission trial judge. "They didn't tell the court that they had a definitive and authoritative legal opinion from the Dept. of Justice that blew their theory of the case out of the water," Morison said. Khadr, who has said he only pleaded guilty to get out of Guantanamo, is currently serving out his sentence in an Alberta prison. Public Safety Minister Steven Blaney, who has repeatedly branded Khadr a hardened, dangerous terrorist and pledged to fight any attempt to lessen his punishment, would not comment on the memo.